Senate Republicans have vowed to block President Obama’s nomination for U.S. Supreme Court justice. They want to delay confirmation, in hopes that a Republican is elected president and will nominate a conservative justice. 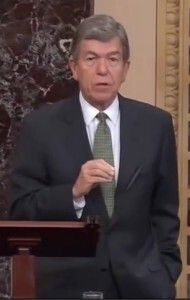 Senator Roy Blunt (R-Missouri) says blocking the nomination during a Presidential election year is not unusual. Blunt said the nation’s highest court can manage with eight justices until the next President nominates someone to fill the vacancy. “The first court had six members because nobody thought the court was going to be a legislative body. You didn’t need a tie-breaker. All you needed was somebody to look at the constitution, look at the law and determine if that should be the law,” said Blunt. Some say split decisions would result in a lower court’s decision being final. Democrats say Republicans are holding the vacancy hostage. Senator Claire McCaskill (D-Missouri) said the appointment should not be political and the vacancy needs to be filled. U.S. Appeals Court Judge Merrick Garland has been nominated by Obama to replace the late Antonin Scalia.